Fast and easy chemical analyses to perform quality control on deep-frying oil or cooking oil and determine the shelf life of fried snacks. 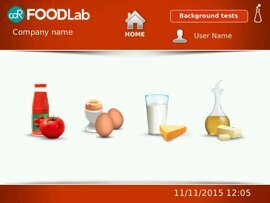 CDR FoodLab® is the ideal chemical analysis system to monitor the degradation of frying oil, cooking oil, waste oil. A photometric reading and optimized methods enable the CDR FoodLab® system to guarantee reliable results that are correlated with traditional methods. 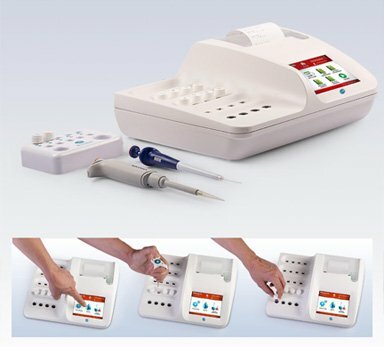 The system is so easy to use that it can be utilized straight on the production line, even by personnel with no previous specific lab tech experience. When testing fried snacks, the system speeds up traditional analytical procedures, simplifies the sample preparation, which does not require the use of toxic solvents, and removes all risks for the operator. CDR FoodLab for frying oil was last modified: March 6th, 2019 by CDR s.r.l. Performing chemical analyses on deep-frying oil and fried products is simple and fast because sample preparation, if any, is minimal. With CDR FoodLab®, chemical tests on deep-frying oil or on fried products are performed in just a few steps and the result is automatically calculated, displayed and printed in just a few minutes in its unit of measure. It becomes possible to determine the shelf life of snacks by periodically monitoring the oxidation status and the rancidity of the oils contained in the different products. With the CDR system you extract the oil to analyze with a simple mechanical treatment. On the oil extracted you can determine in 5 minutes: FFA, Peroxide Value and p-Anisidine Value. Determining the shelf life of finished products does no longer require the use of toxic solvents, complicated extraction methods, high costs for special waste disposal and extraction hoods. Risks for the operator are eliminated and the environmental impact is minimized. CDR FoodLab®, è stato usato per il test della p-Anisidina in due tipi di oli di girasole in uno Comparative study on the oxidative stability of deep-frying oils carries out by the University of Hamburg: “Analyses of the oxidative stability of deep-frying oils”, curated by Katharina D. Placke, Jan Fritsche and Kim K. Kleeberg. Researchers relied on our instrument to determine the quantity of p-Anisidine in an easy way and with no use of toxic reagents to obtain rapidly a sound indication of deep-frying oil resistance. Extraction system: this innovative, practical and fast extraction system enables to obtain a sufficient quantity of oil to perform quality control tests with CDR FoodLab® directly from the snacks or other fried products via cold pressure, abandoning the use of solvents. The CDR FoodLab® chemical analysis system to determine the degradation of deep-frying oil and the shelf life of snacks and fried products can also be used to test any type of vegetable and animal fats and oils. Moreover, it can be configured to perform analyses on egg products, milk and dairy products, tomato derivatives and vegetable purées in general.